In our final installment of the ERSEA Cheat Sheet series, we will talk about Attendance. Attendance is an ongoing activity, requiring regular monitoring and an all hands on deck mentality. As with all of the steps of ERSEA, the important part is to have a plan. How will you encourage regular attendance? And how will you engage with families early when you see signs that attendance may become a problem? 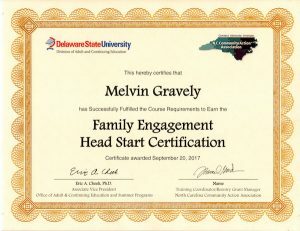 First, reach out to parents and staff to explain the importance of attendance from the very beginning of their Head Start stay, and continue to reinforce it regularly. You’ll need to present them with information of why attendance is so important in the Head Start nationally. Be sure to include that attendance is also monitored for the child’s safety. The easiest way to monitor attendance is through Head Start software. Monitor that attendance is at 85% and no child is at risk for missing more than 10% of the program days. Monitor for multiple unexplained absences, habitual latecomers. I think the big programs have an easier time with this data: not all staff are data specialists. While big Head Start programs may have the luxury of employing data specialist, smaller programs are often multitasking and can’t do that. What do you do when children’s attendance takes a hit in the winter? Do parents tend to keep children home too soon, or do they send them in when they’re too sick? 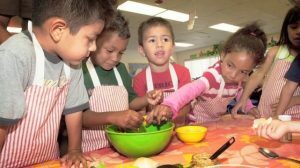 Do you know any Head Start agencies that are employing the use of scanners to monitor children’s attendance and meal data? These scanners are similar to what they use at hospitals to track patient’s barcodes. While it sounds very efficient, it also seems commercial at first glance. Program staff must attempt to contact parents within one hour of program start time, if children are unexpectedly absent and parents haven’t contacted the program. This is in order to reduce risk of child being left in bus or car. Notice the word attempt. You must try, but you don’t have to reach each parent. Think about the best way to do this. Will you have a secretary make phone calls an hour into the day? Teachers? What’s most efficient? You may want to consider using texting as a tool to communicate with parents. 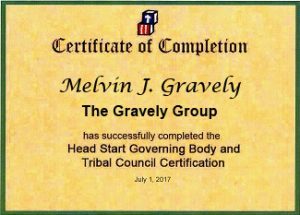 Head Start has shown again and again to have life-long benefits. Without regular attendance, children cannot fully realize those benefits. Good attendance in Head Start will help them have good attendance in school, and eventually work! And what is the responsibility of the parent?Everthing falls on the centers shoulders. If parents want their child to attend why do they have such a hard time getting with the rules of the program?